Ibrox Noise: Has Steven Gerrard run out of patience with star player? Has Steven Gerrard run out of patience with star player? When Ibrox Noise made a claim a week or two ago that Borna Barisic’s time in Scotland had been a ‘disaster’, we were met by pure disdain and borderline mockery. Some replies bigged him up and dismissed his injury issues as ‘bad luck’ while others suggested he was a ‘Rolls Royce’. However, these individuals have gone remarkably quiet following yesterday afternoon’s latest injury shambles with the Croat, and have been replaced by more realistic fans labelling him, sadly legitimately, as ‘Rossiter mark 2’. And Steven Gerrard, when asked about Barisic post-match, looked absolutely exasperated with the 26-year old as if he has run out of patience with his repeated injuries. Aside the mischievous possibility of the 55 trolling that we suggested yesterday is the more serious issue of a £2M Croatian international who can’t stay fit for more than a few matches. As a few supporters have stated, when he played on in the Europa League clash with a bloodied bandage, harking back to Terry Butcher and Dado Prso in the day, it made him look like a hard fella who would be robust and could play on through the pain barrier. 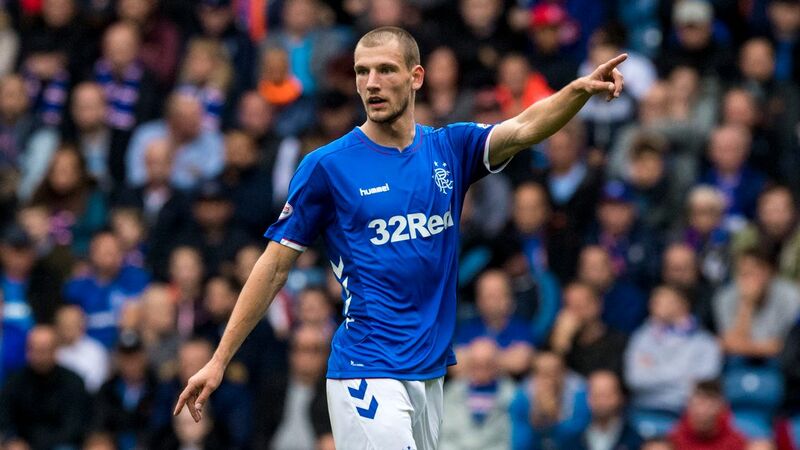 Unfortunately that display against Rangers is the best (and only time) we’ve seen Barisic actually live up to the amount we ultimately paid for him. His performances for Rangers, when they’ve rarely happened, have been unconvincing. His attacking play isn’t especially imaginative and he can’t beat a man, nor does he have any pace, but he counters this with some scintillating delivery and a hell of a torpedo on his left foot. Meanwhile defensively he gets caught out a lot, and doesn’t seem to quite know how to read the Scottish game. He’s not especially physical and unlike Tavernier lacks pace and dribbling skill. But of course none of this matters anyway when he can’t stay fit – and his manager really does seem to be losing patience on the whole thing. Mercifully Andy Halliday has risen to the challenge and is making the LB berth his own – so the failure of Barisic leaves less of a hole in the squad and more of a hole in the club coffers. There has been talk that some Turkish sides were interested in him a week or so ago, and frankly Rangers would be inclined now to take the money and run. And that will deeply frustrate Steven Gerrard. On the few occasions we have seen him Barisic looks ten times the player Halliday is at full back. I dont think Barisic has had enough time to get up to speed and truly get used to our game. No reason o get carried away at the moment. if he gets a run of 10 games I believe he will come good. In my own opinion he has got a turn of pace, but agree no where near as comfortable on the ball as Tav. The guy had a horrendous stomach injury. And he was unlucky against St J hamstrings happen. Being a tad harsh. The guy is a Croatian International. Fair assessment Coco, we can't argue with much in this. Albeit we may have missed where he called Grezda out? Very harsh assessment of Barasic. He is miles better than Halliday (would you see him get a game for the World Cup finalists) and I'm confident he will come good. I mentioned after Sunday that Halliday seemed intent to try to deliver balls to our forwards from 40-50 yards away. Barasic would take the yards and then deliver the ball from a much better and more dangerous ankle. Didn't say anywhere in that article that Barisic and Halliday were equal. Just that it's a moot conversation given one of them seems unable to stay fit long enough to show how good he is.